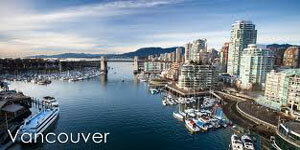 A superior, first class hotel located 1.5km from Granville Island. The hotel is elegantly decorated in contemporary style with spectacular views of the mountains and ocean. It is well suited for the business traveller or the leisure guest and is appointed with the necessary amenities to provide for an enjoyable stay. 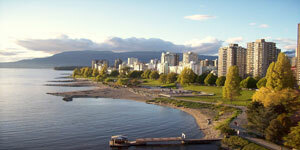 The Hyatt Regency Vancouver is a deluxe hotel located right in the centre of town. The rooms are well recently renovated and has spectacular views of the mountains and oceans. It is well suited for the business traveller or the discerning leisure traveller. Built in 1927, in the heart of Downtown, the Hotel Georgia is a social center for Vancouverites and a home-away-from-home for celebrities from around the world. We have welcomed guests including Elvis, Louis Armstrong, Nat 'King' Cole, Edward, Prince of Wales and many more. 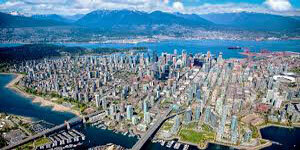 The Century Plaza is located at the downtown Vancouver location, 3 blocks from Robson Street, world renowned shopping and drinking street. It is conveniently located that it is only 3 blocks away from Vancouver Art Gallery and 5 blocks away from Pacific Center Shopping Mall.